We specialise in the commissioning, installation, inspection & maintenance of Fire Extinguishers. 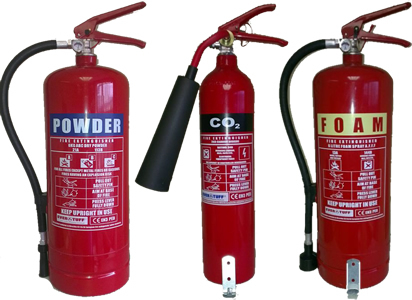 We also supply servicing of fire extinguishers in accordance with Irish Standards (I.S. 291). Fire extinguishers are the first line of defence in the unfortunate case of an outbreak of a small fire. When used correctly, a fire extinguisher can save lives and stop the spread of a fire, thereby minimising the damage to the building itself. As fire extinguishers are of huge importance in a building, you need to ensure that the fire extinguishers are serviced and maintained to the highest of standards. We at Irish Fire Protection will service the extinguishers to Irish Standards 291:2015, and provide you with a report and certificate upon completion, or, a report stating what is required to meet Irish Standards 291:2015 so that a certificate can be issued. Our engineers are fully qualified in order to give our clients a professional maintenance experience. We are active members of the F.I.A.I. (Fire Industry Association of Ireland). This annual service is a requirement under I.S. 291:2015. If you are unsure about your premises, please contact us and we can do a free, no obligation, survey to inform you of the requirements and cost to meet I.S. 291:2015. All fire extinguishers that we supply comply fully with Irish/European Standards, are CE Approved and guaranteed for 5 years. We provide aftersales support and in the unfortunate instance that a fire extinguisher is discharged; we can inspect and refill the fire extinguisher. We pride ourselves on providing an excellent service to all of our clients.